Previous Post MRSA in ‘da House! Happy Easter Monday to the Geylings! Love the photos one and all. You have such a photogenic family. Glad Rudy is doing well and look forward to your next post. haircut! did I miss that in some previous email?? 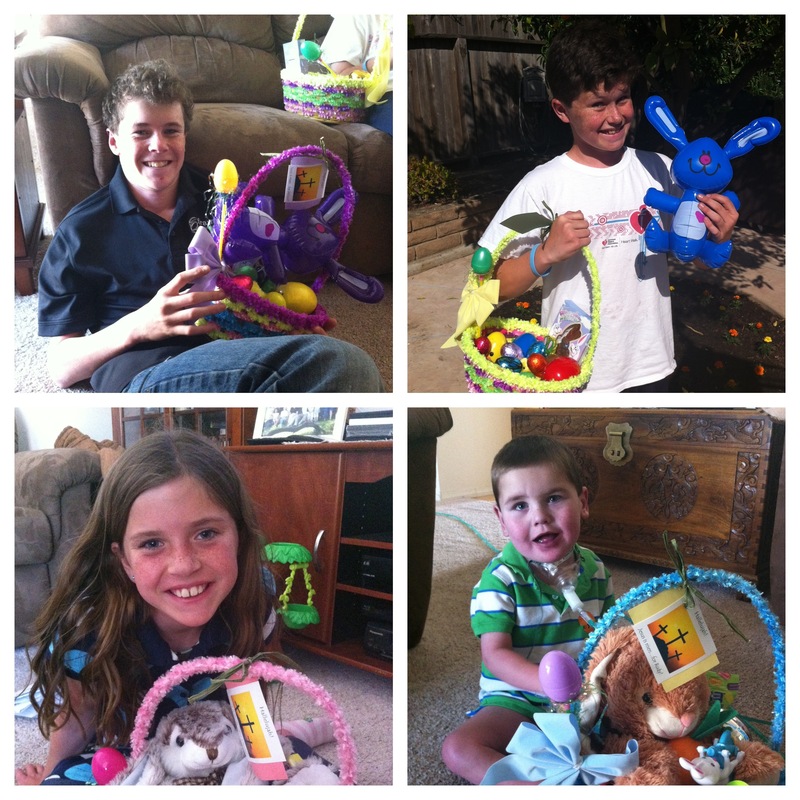 what a handsome bunch of kids…..
Looks like Trish did her usual good work on the Easter baskets…I mean that Easter Bunny gave good stuff once again!! What a blessing to spend Easter with you and attend Olivia’s baptism. She is so sweet and her attention and caring for Rudy is remarkable. Rudy loves her attention. God bless you Livy Jo! Won ‘t it be fun when he can get in the swimming pool!